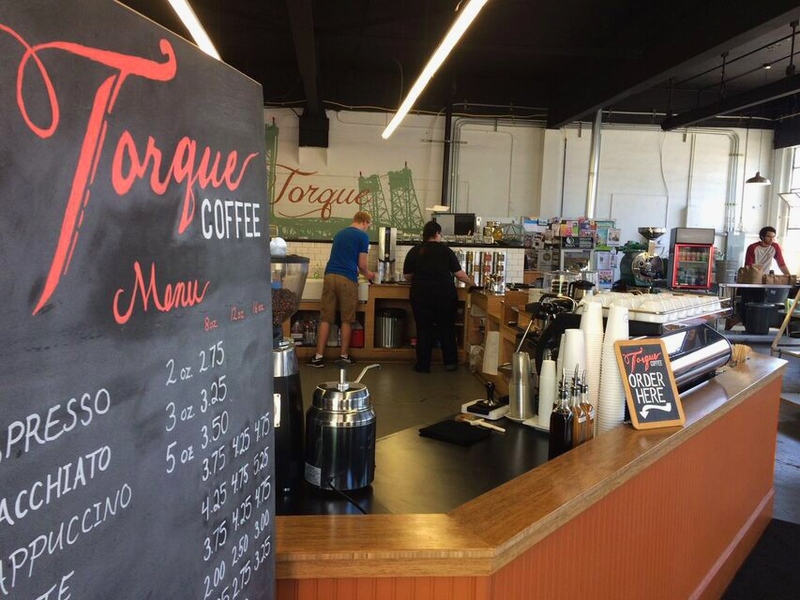 UPDATE: MAY 2017: TORQUE COFFEE IS NOW CLOSED. READ MORE ABOUT WHY HERE. I know this is a blog about Portland, but I’ve been branching out a little the last couple weeks and exploring some of the neighboring cities. Last week I was all about Oregon City, with posts about the elevator and the McLoughlin Promenade, but today I’m taking you to Vancouver. The little city across the river is getting better all the time. 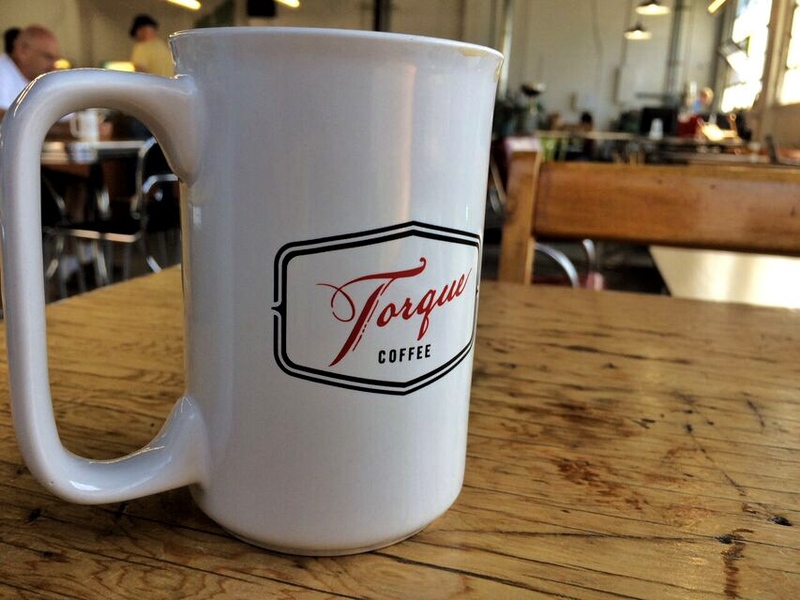 One prime example is Torque Coffee. 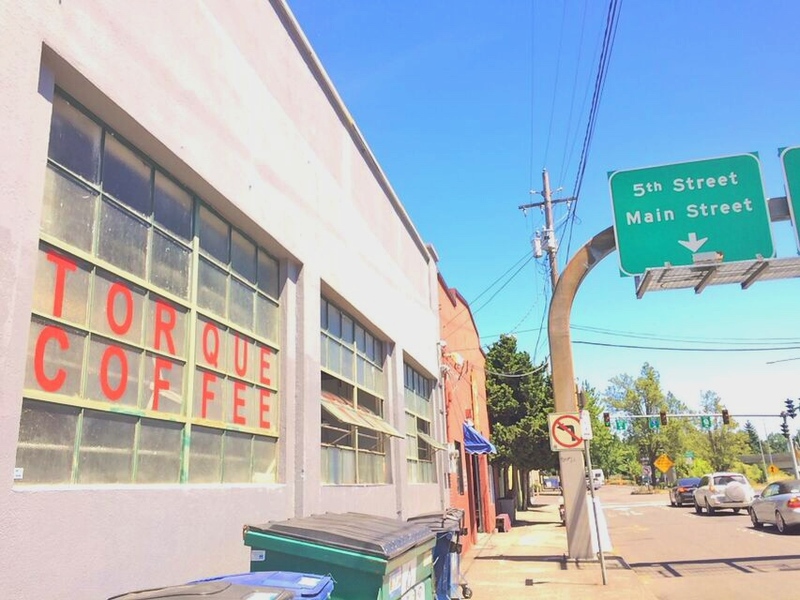 A delicious and beautiful coffee roaster just on the other side of the Interstate Bridge. I spent a couple hours there recently and had a great time. 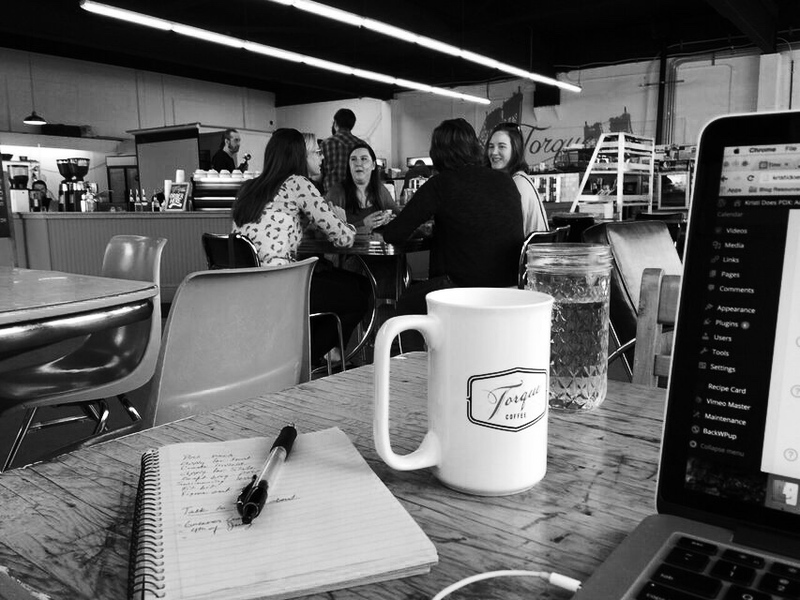 It was busy but never crowded, a great spot to work if you are a coffee shop dweller. 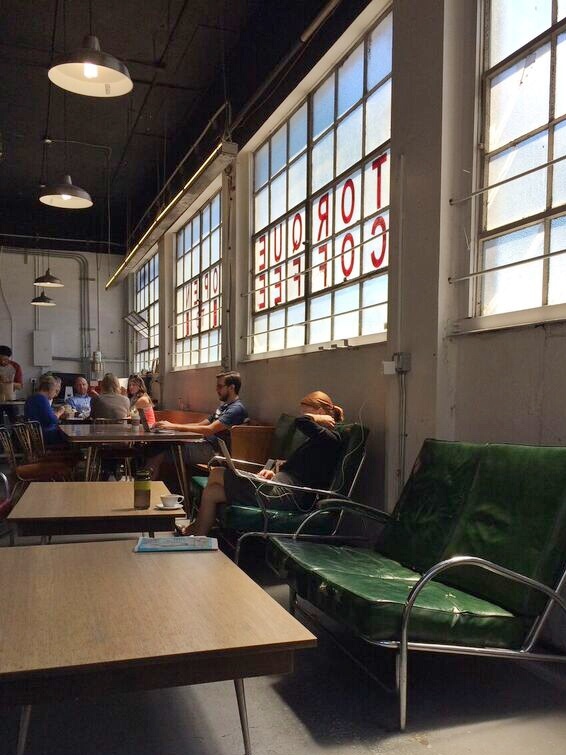 The coffee bar and roasting operation are inside an old garage so there’s lots of room and lots of light. There is ample indoor seating on recycled church pews and old dinette tables, plus a bunch of picnic tables outside. On the day I was there a food truck was serving lunch to the business folks in the neighborhood. Great coffee, great location and great vibe. Check it out next time you’re in “The Couve'”. Happy sipping! I don’t make it to Vancouver too often, but this looks like a great little spot with a fun vibe. Thanks for sharing! What a nice space. Love the branding. Looks like a nice, open spot. That looks awesome! Vancouver does have some cool spots, thanks for sharing! What a cool looking spot! I’m rarely in Vancouver but it’s great to know about places like this just across the river. Thanks for sharing! this makes me want a cup of coffee! Good to see Vancouver getting some unique places of its own.